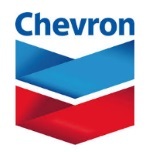 édité le 21/01/2015 - Plus de news de "CHEVRON" - Voir la fiche entreprise de "CHEVRON"
Chevron Corporation (NYSE: CVX) today announced its Australian subsidiaries have signed a binding Sales and Purchase Agreement (SPA) with SK LNG Trading Pte Ltd (SK). Under the SPA, SK LNG Trading, which is part of a leading industrial conglomerate in South Korea, will receive 4.15 million tons of LNG over a five-year period starting in 2017.During the time of this agreement, over 75 percent of Chevron's equity LNG from Gorgon will be committed to customers in Asia. "This agreement is an important step in the commercialization of Chevron's significant natural gas holdings in Australia," said Pierre Breber, president, Chevron Gas and Midstream. "As Chevron continues to grow into one of the world's largest LNG suppliers, this SPA represents further progress and diversification of our sales portfolio." Chevron is also developing the Wheatstone Project as an LNG and domestic gas operation near Onslow, in the Pilbara region of Western Australia. The project's initial capacity is expected to be 8.9 million metric tons per year of LNG. The project also includes a domestic gas plant.